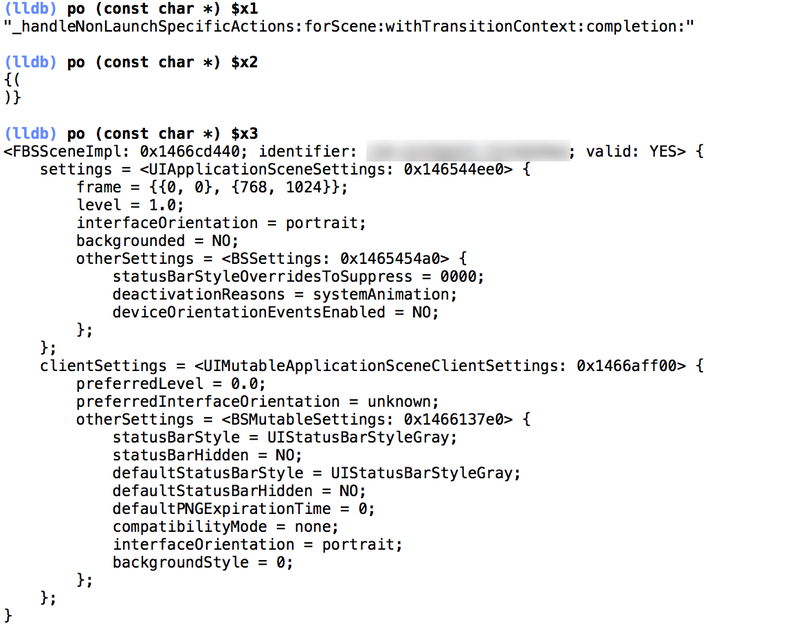 I've noticed the following error popping up in the console when running my app on iOS 9 when using a storyboard. I'm using xCode7. Is this something I need to be concerned about? There is nothing wrong with your code. This is a logging message internal to Apple, and you should file a radar about it. BS is shorthand for BackBoard Settings, and an analysis of this log message would indicate that it's not anything you did, and you should file a radar with steps to reproduce the logging message. If you want to try and grab a stack trace, you can implement the category linked to here. Some would argue that overriding private API is a bad idea, but in this case a temporary injection to grab a stack trace can't be too harmful. I tried finding the un-handled FBSceneSnapshotAction referenced in the log, but no dice. Then, I subclassed UIApplication, and overrode _handleNonLaunchSpecificActions:forScene:withTransitionContext:completion. Now I was able to get at the action directly, but still, we don't know what it is. Then, I looked at the FBSceneSnapshotAction again. 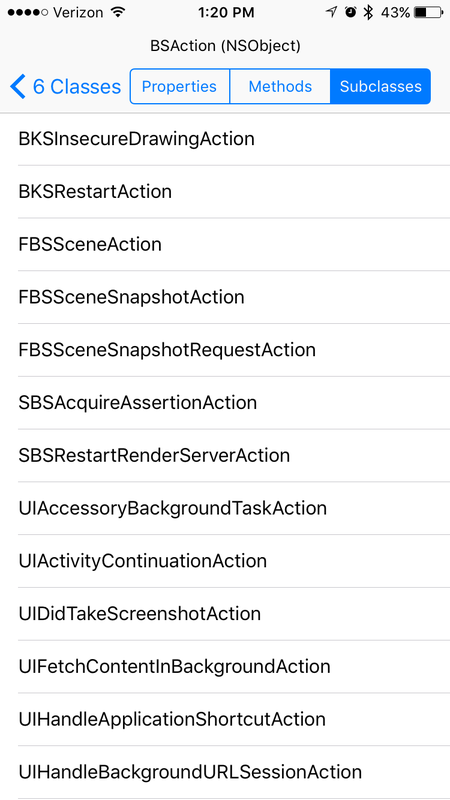 Turns out it has a superclass called BSAction. The two method names we have (one from the log and one from the program counter on the devices) indicate that these actions are used under the hood for passing actions around the system. Some actions are probably sent up to the app delegate's callbacks, while others are handled internally. What's happening here is that there is an action that wasn't handled correctly and the system is noting it. We weren't supposed to see it, apparently. AFAIK, the info above is related to iOS during snapshot the screen (i suppose for double click home multitask related behaviour).I deeply investigated my application and seems that it does not get any side behaviours. You can safely ignore it, for now. I have figured it out, it will happen when you have IBAction method declared in .h or .m file but you have not bind it to any control. but not assigned this method to any control in storyboard. haven't find out why it happens in my app, but at least you can catch the exception, if you want to keep this from popping up in your log pane. It's not a solution, but it might give you more insight why it is happing by inspecting any of the arguments that are passed in the catch. Not the answer you're looking for? Browse other questions tagged error-handling uistoryboard ios9 xcode7 transition-coordinator or ask your own question. What retains disconnected custom objects in Storyboard scene?